Software engineering degree programs are growing in popularity everywhere. Schools are developing undergraduate concentrations in software engineering as well as actual undergraduate focused software engineering degrees. While there are not many options for software engineering specific undergraduate degrees in Arizona at this time, there are many schools offering computer science degrees in the state. 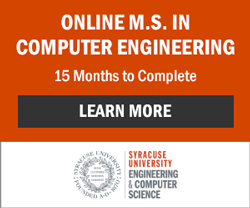 An undergraduate computer science degree is not the same as a software engineering degree, however, graduates of computer science degree programs often find themselves working in the field of software engineering. Many of the classes taken in a computer science degree program are applicable to software engineering. Below you will find the schools in Arizona offering computer science degrees as well as schools offering software engineering degrees. Included are undergraduate computer engineering degrees for good measure. At the graduate level there are additional options for master's programs in software engineering. Learn more about the online software engineering degree options at the graduate and undergraduate levels.